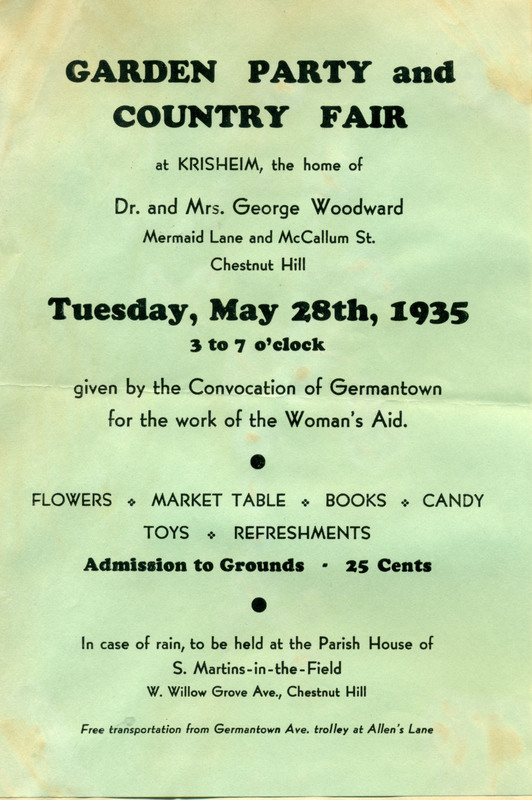 This entry was posted in All Saints' Church (Torresdale), Calvary Church (Germantown), Christ Church (Franklinville), Christ Church (Germantown), Church of St. Alban (Roxborough), Church of St. John the Baptist (Germantown), Church of St. Martin-in-the-Fields (Chestnut Hill), Church of the Epiphany (Germantown), Church of the Messiah (Richmond), Emmanuel Church (Holmesburg), Free Church of St. John (Kensington), Grace Church (Mt. 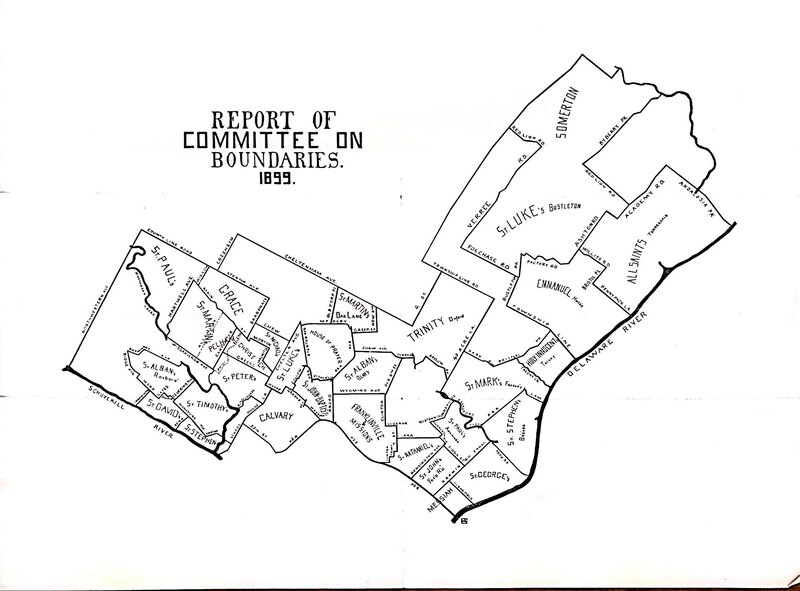 Airy), Holy Innocents' Church (Tacony), House of Prayer (Branchtown), Memorial Church of St. Luke the Beloved Physician, St. Alban's Church (Olney), St. David's Church (Manayunk), St. George's Church (Richmond), St. John's Church (Northern Liberties), St. Mark's Church (Frankford), St. Michael's Church (Germantown), St. Nathanael's Church (Kensington), St. Paul's Church (Aramingo), St. Paul's Church (Chestnut Hill), St. Stephen's Church (Bridesburg), St. Stephen's Church (Wissahickon), St. Timothy's Church (Roxborough), Trinity Church (Oxford) and tagged Archives of the Diocese of Pennsylvania, Convocation of Germantown of the Diocese of Pennsylvania, North Philadelphia, Northeast Philadelphia, Northwest Philadelphia on August 16, 2018 by mjk38. 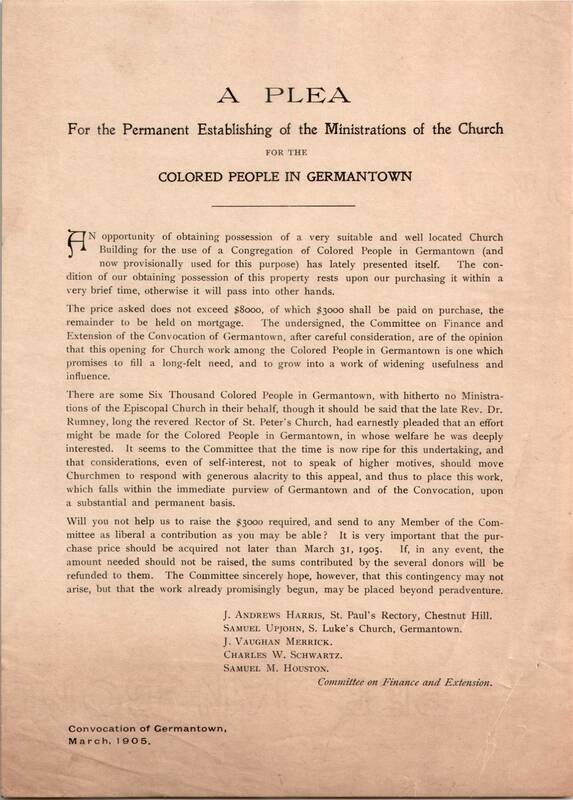 This entry was posted in St. Peter's Church (Germantown), St. Peter's Church (Philadelphia) and tagged Convocation of Germantown of the Diocese of Pennsylvania, Edward Miller Jeffreys on July 28, 2018 by mjk38. This entry was posted in Church of St. Martin-in-the-Fields (Chestnut Hill), Grace Epiphany Church and tagged Chestnut Hill, Convocation of Germantown of the Diocese of Pennsylvania, George Woodward, Krisheim, Northwest Philadelphia on November 18, 2015 by mjk38.